Old Dog Coughing...There is Help! Great products. 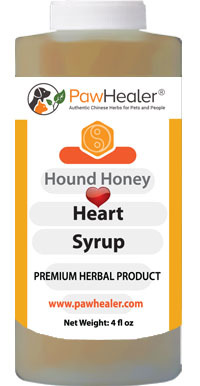 It really helps suppress my 14 yr. old dog's hacking cough due to a collapsed trek and enlarged heart. I have ordered several bottles over the last year. 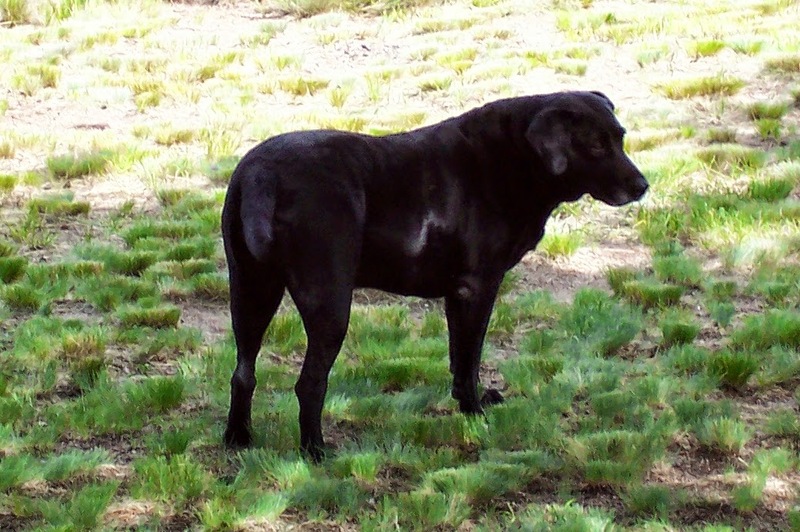 Lots of older dogs experience chronic cough. Chinese herbs really do help manage these type of aging problems. 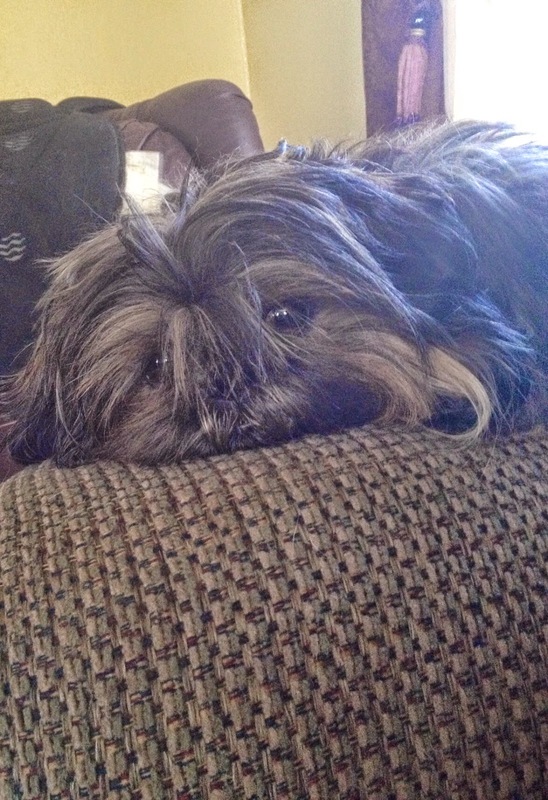 "My little Shît-tzu Lovie has benefitted so much from Pawhealer's amazing herbs! We rescued Lovie a little over a year ago from a neglectful home. She was very timid, fearful, and stand-of fish for far longer than I had hoped. She was a mess! Her fur was dull, skin horrible...rashy, dry, flaky, itchy. Her ears were like nothing I'd ever seen! Something was going on with her internally. I called the previous owner and asked if she was aware of any medical conditions Lovie may have. And yes, she had had bladder stones removed one year earlier. Bingo! I knew something was going on! I started researching the issue and came across Pawhealer. I ordered a combination pack for bladder support. Within 2 weeks, Lovie's demeanor TOTALLY changed! She started socializing and playing with the rest of the pack (another dog and 2 cats)! What a surprise! She wasn't timid and fearful, she didn't feel good! Her skin has completely cleared up, ears are clean, she no longer chews and scratches herself until she's raw, and there are no signs of bladder stones or painful urination. We are very pleased with the herbs!" 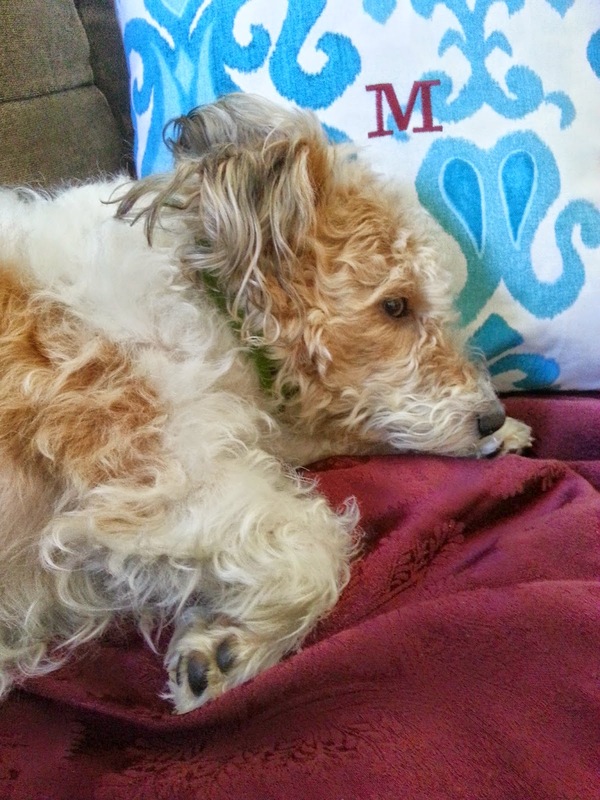 Another Bladder Stone Story...Herbs for dogs that work! Dog Bladder Stone Help...Big Boy Corbin Feels Great! 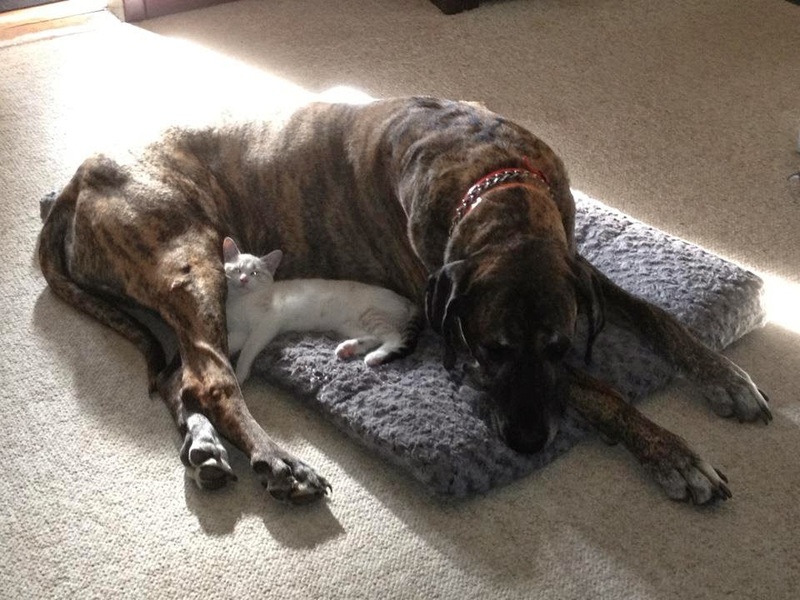 Coben my 8 year old Great Dane was urinating blood and the vet wanted to do a x-ray, possibly surgery for bladder stones. I contacted Paw Healer right away and they came up with the combination for correcting his crystals in the urine. 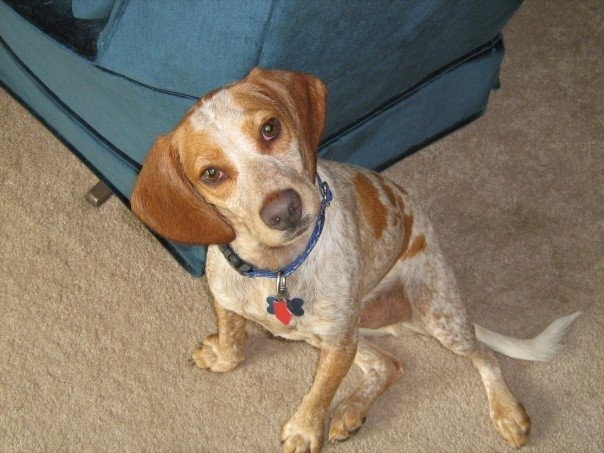 In about 2 to 3 months Coben was free from the heat and pain and no longer urinating blood. Thank you for all your help! I've also tried some other herbs for Coben from Paw Healer and he does well with all! Thanks for Pepper sharing Corben's story. Corben has a tendency towards damp-heat. It affects his bladder and ears..and Pepper stays on top of that problem by using herbs to clear heat. Corben used Urinary Free the Flow for Blood/Stasis Heat....and happily he is a happy peeing dog!!! "Coconut" has been taking 2 different formulas since last summer. 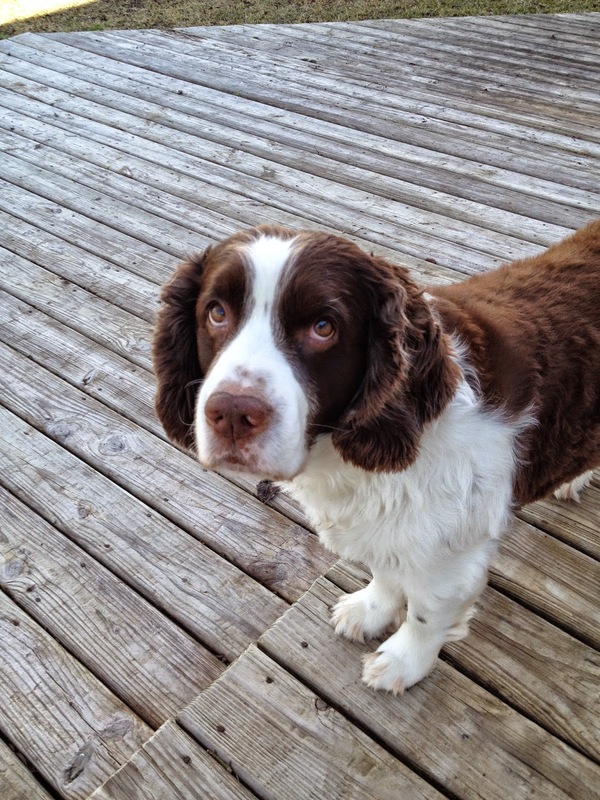 He had bladder stone surgery July 2013. He has had several urinalysis & my vet comments how clear& bacteria free it is ( stones can't form) . 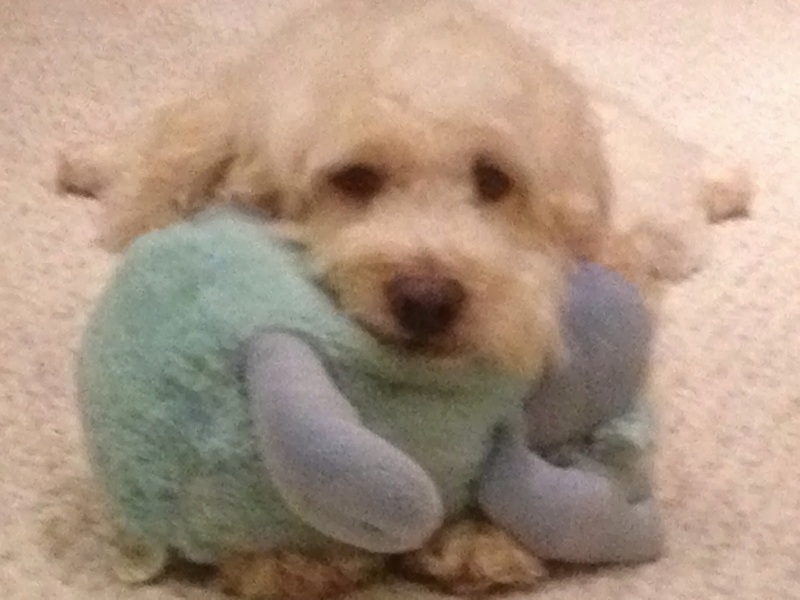 "Coconut " started having seizures & put him on calm& compose 2x daily , while he still has a seizure approx. 6 weeks apart they are definitely less severe& intense than before starting him on the herbs . I am so thankful for pawhealers & their herbs vs putting our dog on medicine for the seizures that could cause liver issues! ... I tell all my friends about it! Thanks to Ann W for her story and sharing it with us. Coconut has lots of damp/phlegm and heat. Next time Ann orders..we will change the formula to clear more of the damp. I would like to see the tremors, which TCM calls "WIND"...go away completely. I will add more ban xia and fu ling for Coconut! old Penny we haven't seen in a long time. supplements, she licks her dish to a shine. It is so great to see her feeling so good. 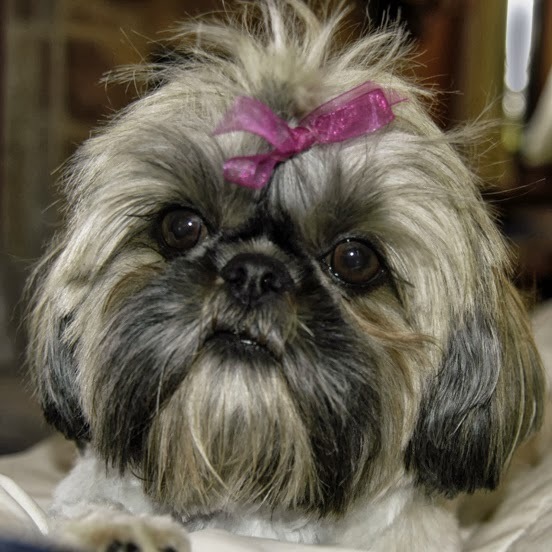 Poor Penny..could you imagine a tube full of bladder stones in that little dog? 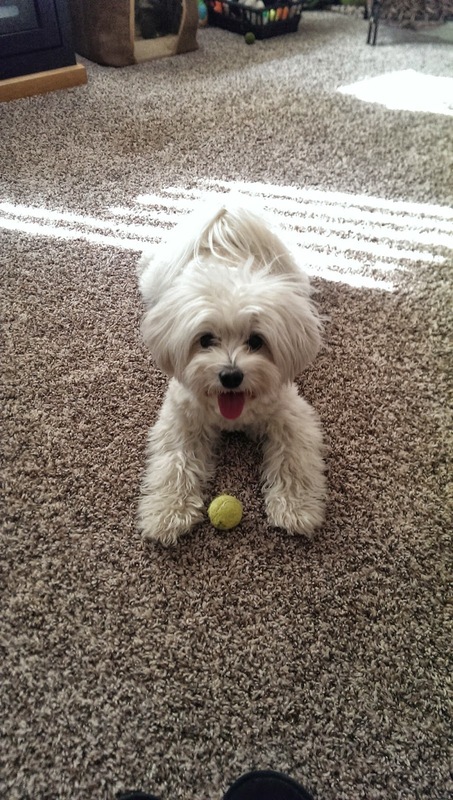 We are so happy that Urinary Free the Flow Basic formula is working to help relieve the symptoms of her bladder stones. Chinese herbs have been used through milleniums to help with "shi lin" which is painful obstruction due to stones. 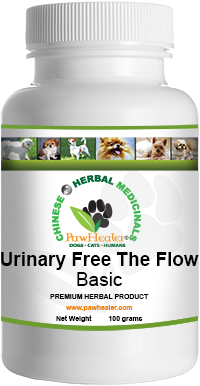 I think that our formula does so well because all the bladder formulas are concentrations of 5:1 herbal extract. That means for every raw gram of herb...our extracts for one gram are equivalent to 5 grams of raw herbs. Translation..this means they are more effective. Acupuncturists, who are trained and licensed for herbal medicine use granules...not liquids, or teapills etc. Anyway...getting back to Penny. Penny's owner is doing something that is really important and that is getting her to get more fluids into her..by feeding her chicken broth. This helps the bladder flush that damp heat...not to mention chicken broth is yum yum good to canines. We love our bladder stone remedies...we don't offer one..we do it by various patterns of stone obstruction based on the tenets of Traditional Chinese medicine...and then we even will modify formulas if the owners want a custom blend. 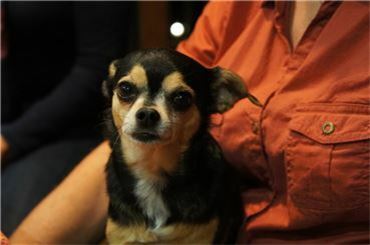 I would like to thank Pawhealer for taking the time to talk to me about my Chihuahua who was suffering from bladder stones. 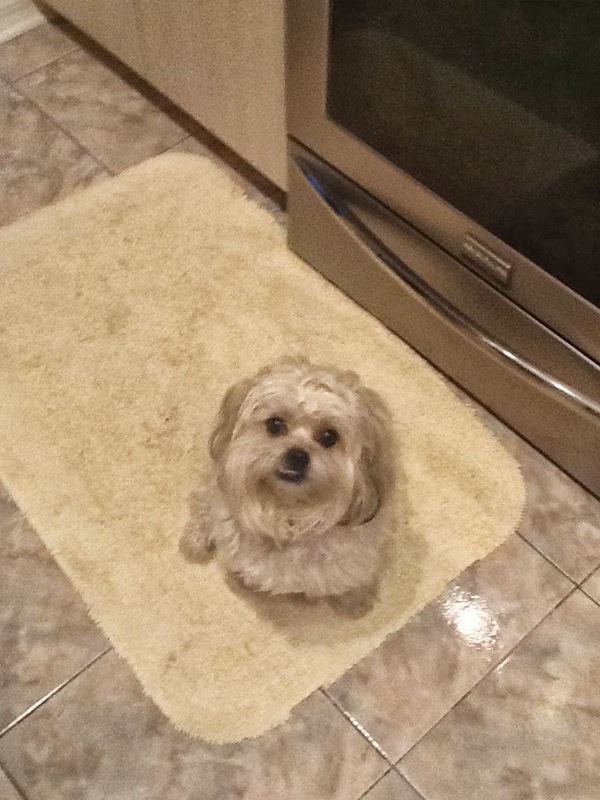 They had recommeneded I try their products and quite frankly I had nothing to lose since my dog is 12 years old and the Vet would not do surgery. 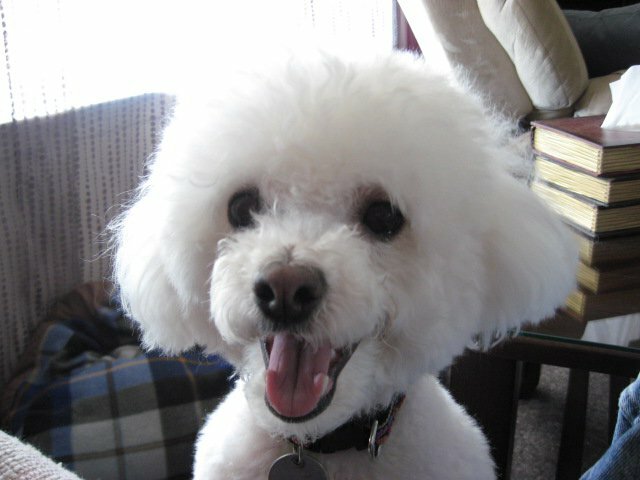 My dog had bladder stones in Septemeber of 2011 and she was young enough to do surgery than and the Vet did but 2 years latter the bladder stones had returned even being on the Vets recommended diet food. The people at Pawhealers were so nice and had even told me what I could feed her since the prescription dog food was not working. You can see from the pictures that the stones were disolving. The first xray was taken 9-18-2013 and the second xray was taken 11-13-2013. The xrays were taken about 8 weeks apart. 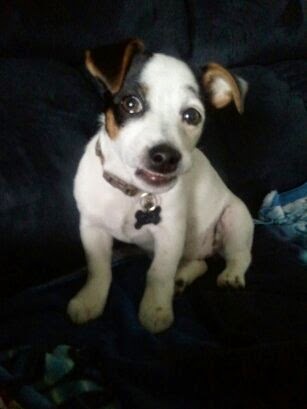 My dog acts like a puppy again and I can tell that she is not in pain. I would recommend this product to anyone. I am one satisfied customer. Thank you very much. 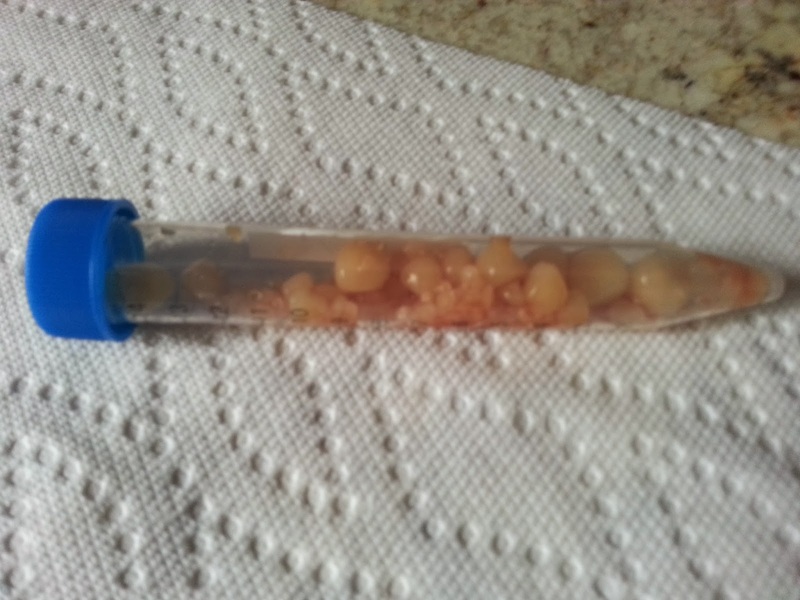 Thanks to Devora W. for shaing Maeli's bladder stone formula. 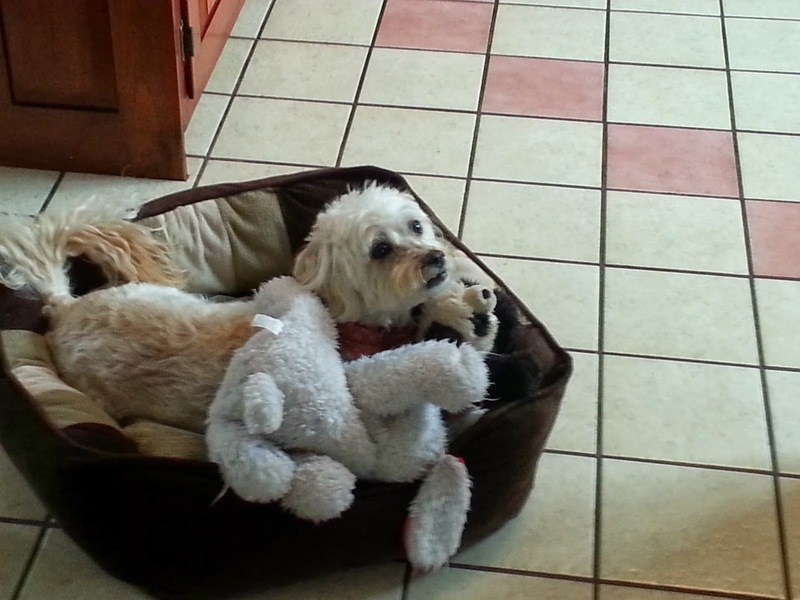 Maeli is 10 and has had 3 operations for bladder stones. A year an a half ago her stones leached out so much infection that she became septic and almost died. After that operation I put her on a regimin of Stonezyme and Urinary Free the Flow bothmorning and nght. She has been free of infection ever since, and I thank my lucky stars for finding you! Please visit our webpage and pick out a bladder PawHealer.com bladder stone formula. An authentic and unqie way to heal your dog! 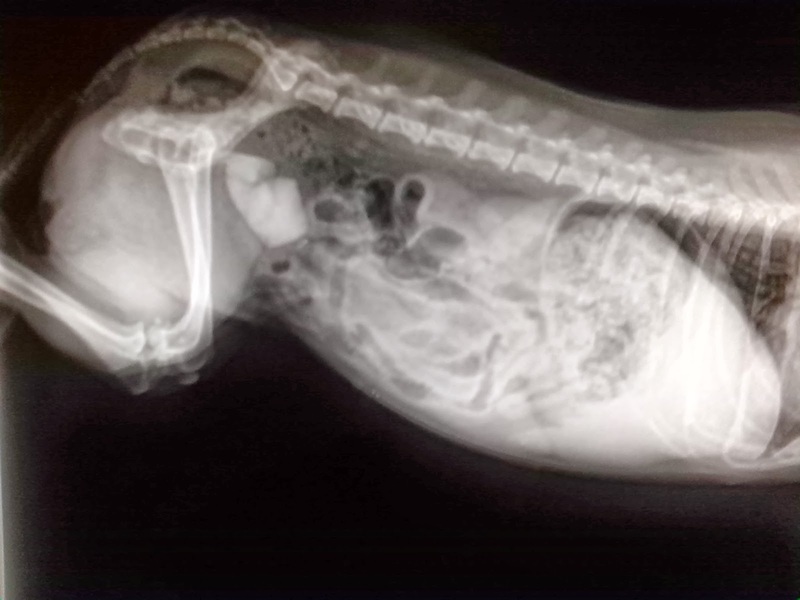 ZsaZsa X-Ray Shows Bladder Stones Getting Smaller! Doing so much better! 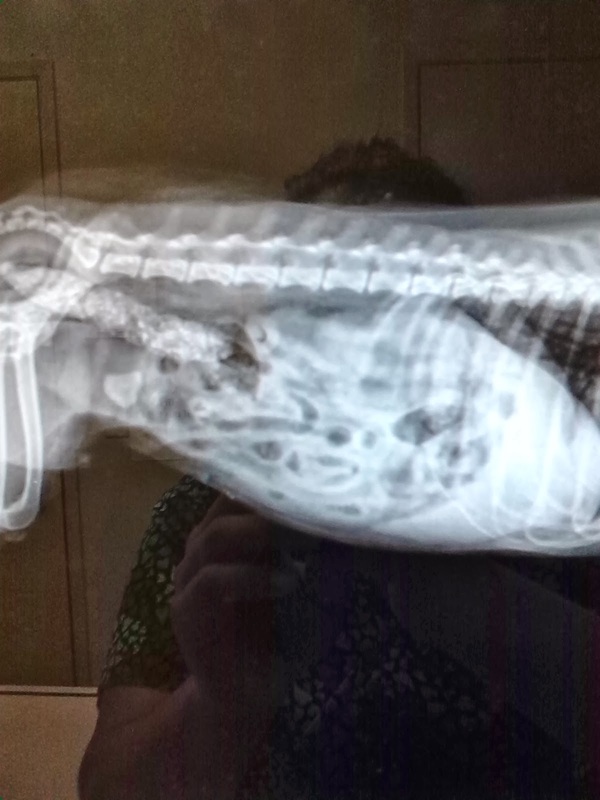 Had another X-ray and although bladder stones are still present there aren't as many and they are much smaller. We are keeping ZsaZsa on this treatment course. Thank you for giving us a healthier option for our little girl.